Reds, greens and golds drip from the ceiling of Rolf’s, a restaurant where the food isn’t the main attraction – it’s the Christmas décor that steals the show. And that’s not just in December. In fact, this German eaterie celebrates ‘weihnachten’ right up to May! And, come autumn, you can enjoy the fall colours without going to New England too: here, the pillars and bar are laden with brown, gold and red faux leaves and tree sculptures reach towards the dark panelled ceiling. 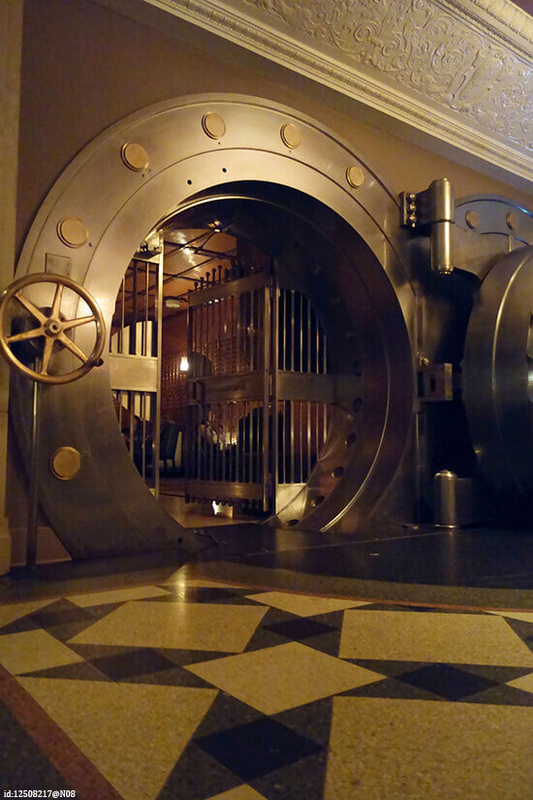 There isn’t anything particularly unusual about The Bedford’s menu, but its location is definitely unique. 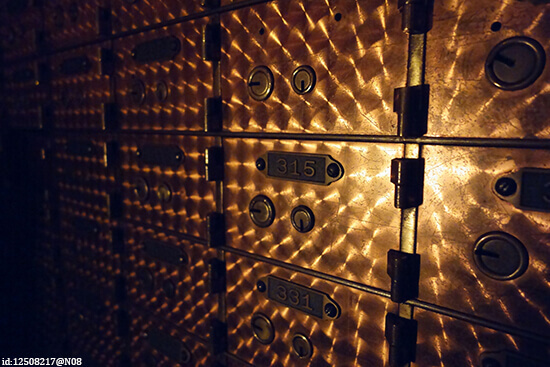 Set inside a reclaimed bank and VIP vault room, you can gaze past thousands of copper lock boxes and into the heavy vault chambers, where, pre-1920s, money and valuables aplenty were stored. Today though, the real gems are the cocktails and oysters. When you think of plane food, do you conjure up images of metal containers with limp portions of chicken and veg? Well think again. The Airplane Restaurant in Colorado is a one-of-a-kind dining experience. 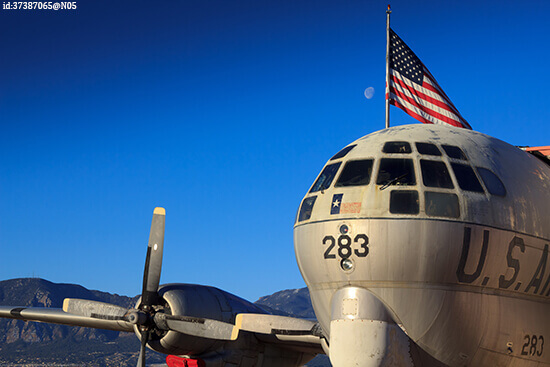 Located inside a revamped KC-97 US tanker plane and an adjacent building, you’ll be greeted by a server dressed as a flight attendant, but the food will be anything but flighty. Buy into the concept with starters like ‘wings, wings’, ‘air tower nachos’ and ‘runway crunchy chicken strips’ and dine on steaks, ribs, seafood and chicken for mains. Tasty. Ever had a power cut during dinnertime at home? Well, that’s kind of what Opaque is like. This ‘Dining in the Dark’ themed restaurant eliminates one of your five senses (vision), in turn heightening your sense of smell and taste. This sensual adventure can be a bit disconcerting at first – especially when a hostess has to guide your hand to your plate – but as your palate is extra sensitive to these delectable flavours, it’s totally worth the initial bafflement. Wine lovers, listen up! 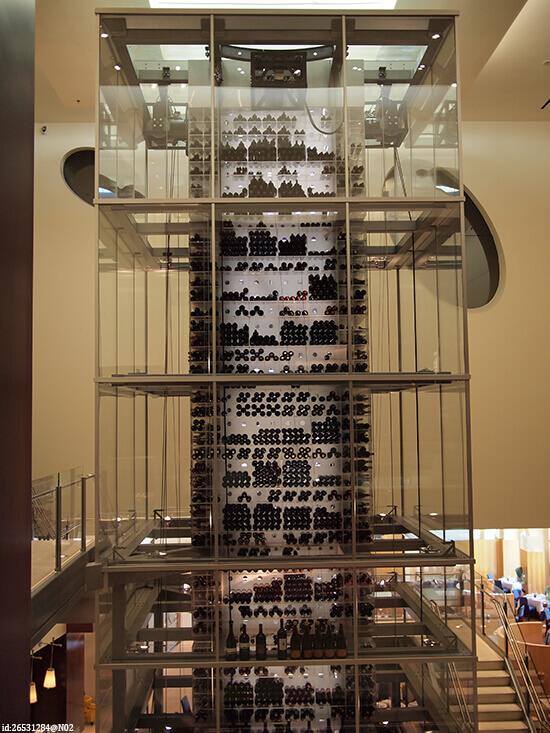 Located in the Mandalay Bay Resort, the Aureole Las Vegas undoubtedly has some incredible food, but it’s the vino tower that really impresses. This clear, four-storey skyscraper is located at the restaurant’s heart, an artistic floor-to-ceiling display of bottle upon bottle (upon bottle!). Indeed, it’s so high that your servers will need to be hoisted in a harness to collect your tipple of choice. For a contemporary yet culture-filled culinary experience, the White Horse Tavern is a great New England spot. For starters, the food is local and fresh – there’s an array of artisan cheeses, cuts of beef from nearby farms and fish that’s come straight off the boat. 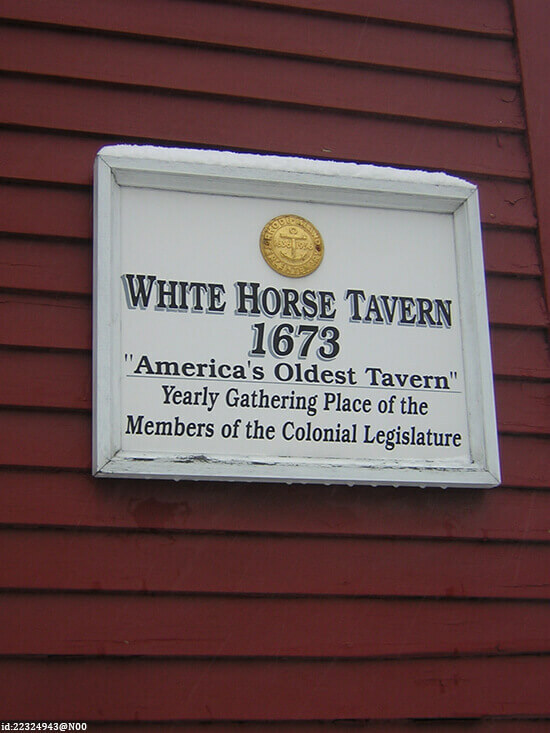 Secondly, and perhaps most importantly, it’s also the oldest restaurant in the US and has been serving tavern-style food since 1673. Safe to say it's got a lot of experience when it comes to perfecting amazing food. Love food? Love marine life? The Aquarium Restaurant in Nashville is for you. 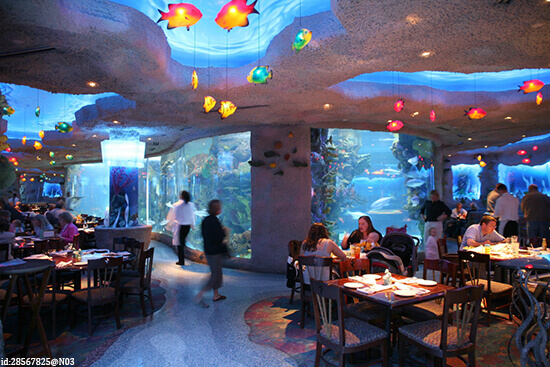 Billed as an ‘underwater dining adventure’, you’ll be surrounded on all sides by a 200,000-gallon aquarium, filled with more than 100 different species of fish from all over the world and boasting floor-to-ceiling viewing windows. For the best experience, visit around 11.30am and 5.30pm, when a diver enters the tank to feed the fish in full view of the restaurant. 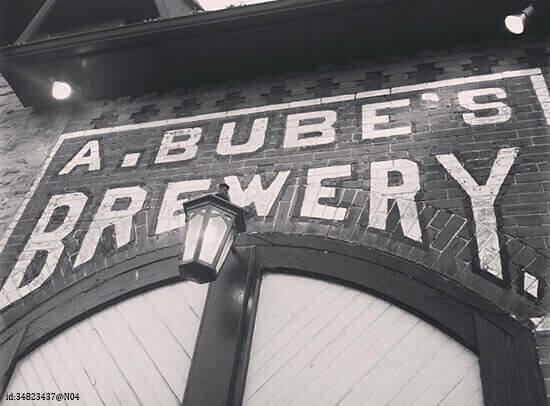 Deep in the cellars of Bube’s Brewery, Pennsylvania’s Catacombs Restaurant sits 13 metres beneath the streets of Mount Joy. An eerie yet magical dining experience, take a seat and you’ll be wowed by enormous beer barrels, stone-lined vaults and twinkling fairy lights, draped from the ceiling. This one went down the toilet last year and is no longer open, but we couldn’t talk quirky USA restaurants without giving it a nod. The Taiwanese Magic Restroom Café, previously in the heart of LA’s City of Industry, was unique in its seating (guests sat on their very own toilet – not functional of course) and its crockery, with bowls shaped like actual porcelain thrones. We don’t want to put you off your lunch, so there’s no picture for this one. Hungry? Chat to one of our Travel Experts about booking a tailor-made foodie Journey around the USA – we recommend our Tastes of California and USA Big Eats holidays.